Mariners pitching coach Bryan Price talked pitching with an author for a 2004 book. 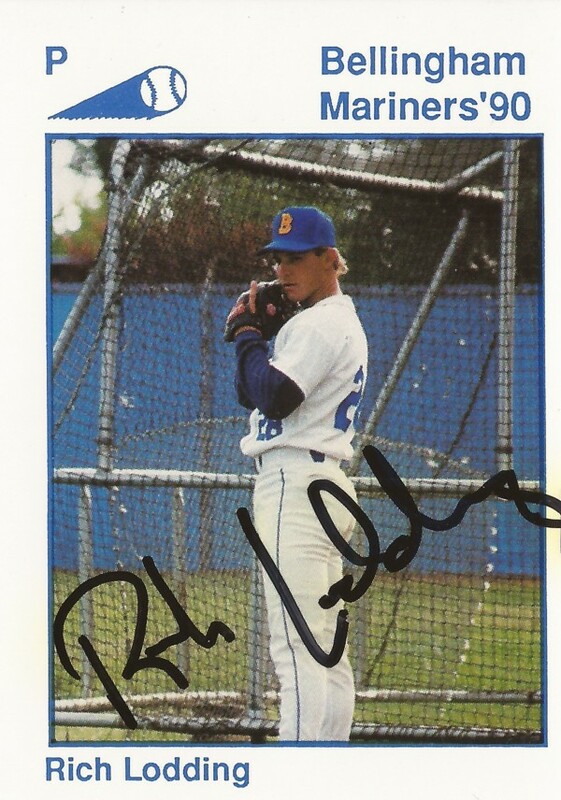 His discussions though, turned to a pitcher he'd coached more than a decade earlier in the minors, Rich Lodding. Lodding, Price recalled to Eric Liu, overthrew. Price worked with him through 1991 at high-A Peninsula. He focused on Lodding's mechanical approach, when, Price later believed, a mental approach would have been more beneficial. "He never lacked physical effort," Price, who said he took Lodding's eventual release personally, told Liu in the book Guiding Lights. "What he lacked was the trust that he could succeed using less physical effort." Lodding met Price in his third professional season. Lodding got into one more campaign. He never made AA. Lodding's career began in 1989, taken by the Mariners in the 16th round of the draft out of Cypress College in California. At Cypress, Lodding went 9-2 by mid-May 1989, including a four-hit playoff shutout. In regionals, he pitched 13.1 innings and gave up a single run. "Lodding was amazing," Cypress coach Scott Pickler told The Los Angeles Times of that stretch. Lodding started with the Mariners at short-season Bellingham. In 15 outings, nine starts, in 1989 he went 4-5, with a 3.75 ERA. He then returned to Bellingham for 1990. His record dipped to 1-5 and ERA increased to 5.21 over 13 outings, 11 starts. He started the club's home opener. Lodding them moved to Peninsula and Price for 1991. He also pitched mostly in relief. In 18 outings, he got a single start. He ended with a 4.99 ERA. Lodding then played one more season at high-A San Bernardino to end his career. He has since gone into coaching. He has served nearly 25 years as pitching coach at Sonora High School in California and served for a time as an instructor.